June 1 is a special day for Sunil Dutt. 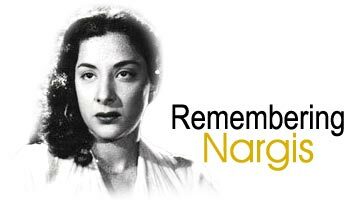 It marks the 75th birth anniversary of his late wife, the�legendary actress Nargis, who passed into the ages in May 1981. I am very touched that the media remembers her [Nargis] and continues to remind people of�my wife. People forget so easily. I am in Delhi, busy in meetings, but�she has been on my mind all the time. I keep wondering how she would have reacted to my becoming a�minister. Her achievements were so much bigger than mine. She was an MP when I was merely an actor. I had this thing that I would never go and stay in the house she got in Delhi. I used to book myself in a suite at Hotel Ashoka and ask her to visit me. I didn't want to use government property. I remember how�lovingly�she set up the Delhi house. She had a�huge puja before moving�in. It was not a very happy time for her [though]. She took the oath as an MP in April. In August that same year, she was diagnosed with cancer. Today, I think of her with great intensity and wonder [what] her reaction to my new position in government [would be]. I never bought her gifts but I gave her myself, which is the greatest gift. Isn't it? [Laughs]. She loved to shop and my kids have taken after her. I tried to buy her things but gave up. She loved saris. Whenever I was visiting Banaras and Chanderi -- which are famous for their saris, I would pick up saris for her [Nargis loved Chanderi handlooms]. When I came home and gave them to her she would say, "Lovely." I waited for a�few days to see her in those saris. But she never wore them. Finally, I asked what happened to the saris I bought. She replied, "They are outdated. No one wears those kind now!" After that I decided�I would not buy her gifts. She could choose them herself. She was fun-loving. She would think of a new [idea] for [celebrating] everyone's birthday, including her own. I would try and match her in surprising the kids too. Once while shooting a�fight scene, I had to be covered with [fake] blood. After the shoot, I didn't clean up. I went home as I was. It was my daughter Anju's [Namrata] birthday. When they saw me, all soaked in�blood, they were devastated! She is in my thoughts all the time.